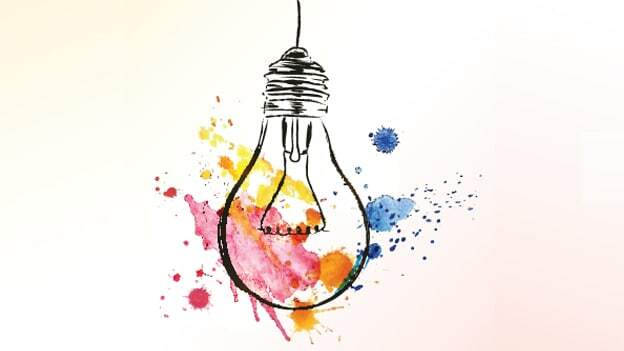 Over 90 percent of employers report difficulty recruiting creative talent and that slow hiring process is a primary barrier to securing top candidates, says a survey. 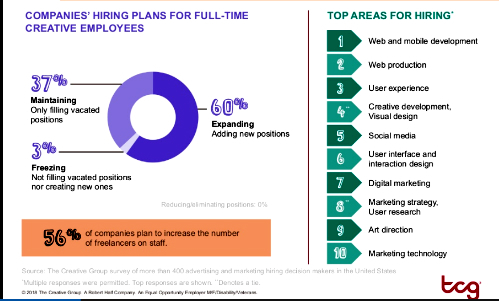 60 percent of advertising and marketing hiring decision-makers in the US plan to expand their teams in the first half of 2019, according to the Creative Group's latest State of Creative Hiring research. Thirty-seven percent of employers anticipate maintaining staff levels and primarily filling vacated roles. In addition, 56 percent of companies expect to increase the number of freelancers they use in the next six months. Web and mobile development and web production are the top areas for recruiting — and among the hardest to staff, results showed. Advertising and marketing hiring managers also reported a strong need for professionals with expertise in user experience, creative development and visual design. "As companies continue to invest in digital transformation, they seek people who can help with new and ongoing initiatives," said Diane Domeyer, executive director of The Creative Group. "In addition to hiring full-time staff, many are bringing on freelancers to provide extra support during busy periods, fill skills gaps on their teams and access a different pool of talent." Good talent is hard to come by. Ninety-two percent of advertising and marketing hiring decision makers said it's challenging to find creative professionals today. There's a need for recruiting speed. When asked to name the greatest barrier to bring on top talent, the most common response was a slow hiring process (19 percent), followed by a failure to offer competitive pay (17 percent). Flexibility is a selling point. Employers surveyed said a flexible work schedule (32 percent) is the most desirable noncash perk for creative professionals. A generous vacation or time-off policy (21 percent) ranked second. Experience matters. When evaluating applicants for creative roles, 31 percent of hiring decision-makers rated the previous experience as the top criterion. Twenty-one percent of respondents said the portfolio carries the most weight. Frequent job changes are a red flag. One-quarter of employers (25 percent) said it's likely they'd remove a candidate from consideration if their resume showed a history of job hopping. "U.S. unemployment is at its lowest level since 1969, and companies are struggling to staff open roles on their teams," Domeyer added. "The talent shortage is even more pronounced for creative professionals with digital expertise — the precise individuals most in demand with employers. An efficient hiring process, competitive compensation, and strong organizational culture are essential to recruiting in today's market."